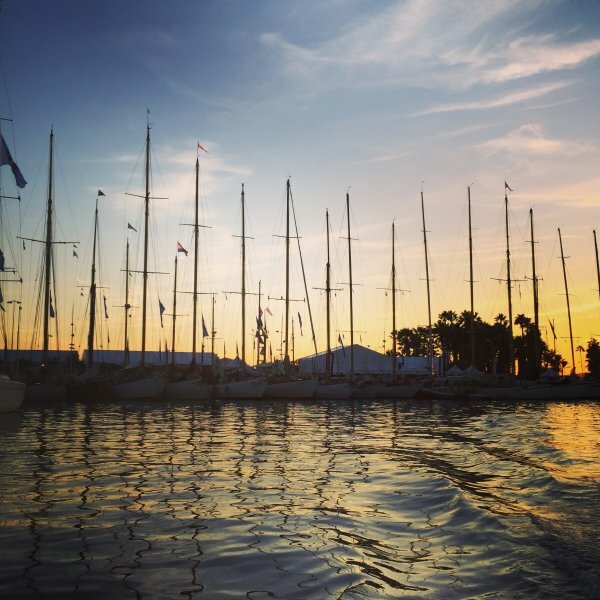 All classic yachts, approved by the CIM (International Mediterranean Committee) and yachts in the ‘Esprit de tradition’ class, approved by the IRC in 2016, are eligible to enter the race which is part of the official circuit organised by the CIM and French Association of Classic Yachts (AFYT). Over the past six years the Corsica Classic has become a not-to-be-missed event on the Mediterranean sport and lifestyle calendar and remains the only regatta to sail a week-long circuit along the Corsican coastline. Route! Ajaccio, the Sanguinaire Islands, Cala d’Orzo, Porto-Pollo and the Gulf of Valinco, Bonifacio, Porto-Vecchio, Santa Giulia, Lavezzi Islands : names that conjure up visions of the Isle of Beauty; iconic landmarks dotted along the route of this seven-day race. Each day, the yachts will follow a coastal route of around 20 miles, a distance that will take at least 2 ½ hours to navigate on the shortest days, and up to 7 hours on the longest. Arriving at their overnight moorings, competitors will find exceptional port services and stunning backdrops. Competitors! 40 of the most stunning classic boats on earth will participate in the regatta this year (vs 23 last year), with competitors from Monaco, Switzerland, Italy, Spain, France, England, Argentina and the USA. 2013 and 2015’s triumphant victor was Tara Getty (UK) with SY Skylark (1937), the flagship yacht of the Los Angeles Yacht Club. Getty is back with his yacht this year and the fight will be grandiose. Among the new participants are SY Eilidh (1931) plus most of the yachts that competed last year (SY Morwenna, SY Sonda) including the magnificent SY Olympian, refit in Maine. Palynodie VI belonged to famous French politician Gaston Defferre. SY White Wings belonged to actor Olivier Martinez and welcomed many times Kylie Minogue aboard as a sailor! SY Serenade (1938), belongs to the most respected art dealer Alain Moatti. He brought it back from Mystic River to the Mediterranean Sea in 2015 and the Lady spent the winter being refitted : she will be challenger of the season after winning last year the Trophée Pasqui in Villefranche, reaching the 3rd place of her class at Les Voiles de St Tropez and winning the Dorade Trophy Elegance Prize at the Régates Royales in Cannes. Serenade welcomed aboard the great Humphrey Bogart and his wife Lauren Bacall as guests and later belonged to actress Eva Gabor and then to Commandant Cousteau. SY Oiseau de Feu (1937) belonged to the Cointreau family. All these yachts have the most famous naval architects such as : Charles E. Nicholson, Olin Stephens, Nicholas Potter, William Fife, Cesare Sangermani, John Anker, André Mauric, Alfred Mylne, Sparkman & Stephens, John G. Alden, Cesare Sangermani, etc. Special (Big) Guest : Legendary vessel Belem, a flagship of French maritime heritage will be in Corsica and will cross the Corsica Classic route. Corsica Classic Rally ! A new chapter will be launched this year with a second week of Corsica Classic delights : The fleet will gather all the classic yachts to travel up to Saint-Florent for a 3 days regatta, with a stop in the old harbour of Bastia, between august 31st and September 6th. Then the teams will be joining the next regatta of the circuit in Imperia (Italy). - Thursday 25/08: Stage 4 Bonifacio - Porto Vecchio. 10 AM : Briefing – 11 AM : Departure from Port -12 noon : departure from Bonifacio / 7pm welcome drinks at the port of Porto Vecchio. - Sunday 28/08: Stage 7 - Bonifacio-Bonifacio ‘Trophée de la ville’ City Race. 10 AM Briefing- 11 AM : Departure from port - 12 noon : departure from Bonifacio / 7pm : prize giving ceremony and cocktails at the Stronghold of the Standard in Bonifacio. - Monday 05.08 : 10AM – Noon : Registration Saint Florent – Imperia (Italy) Rally – Day off.